Listing courtesy of Camelia Gannon-Patino, Terra Firma Global Partners. This clean and bright 2 bed, 1.5 bath home features fresh paint and new carpet throughout. The open yard backs up to a peaceful scene of trees and flowing water. Park features include a pool, clubhouse, and is located 5 mins to the heart of Petaluma’s theater district. Don’t miss a chance to be part of this great 55+ community. Please, send me more information on this property: MLS# 21905965 – $135,000 – 300 Stony Point Road Unit 517, Petaluma, CA 94952. 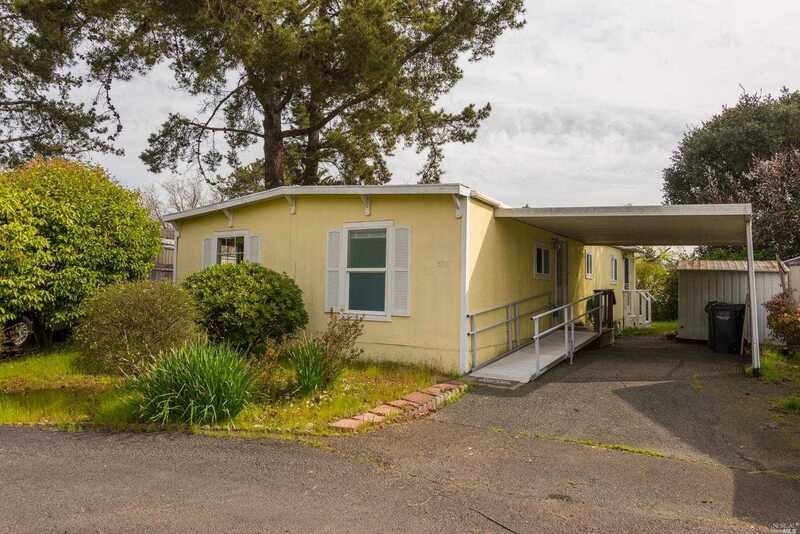 I would like to schedule a showing appointment for this property: MLS# 21905965 – $135,000 – 300 Stony Point Road Unit 517, Petaluma, CA 94952.